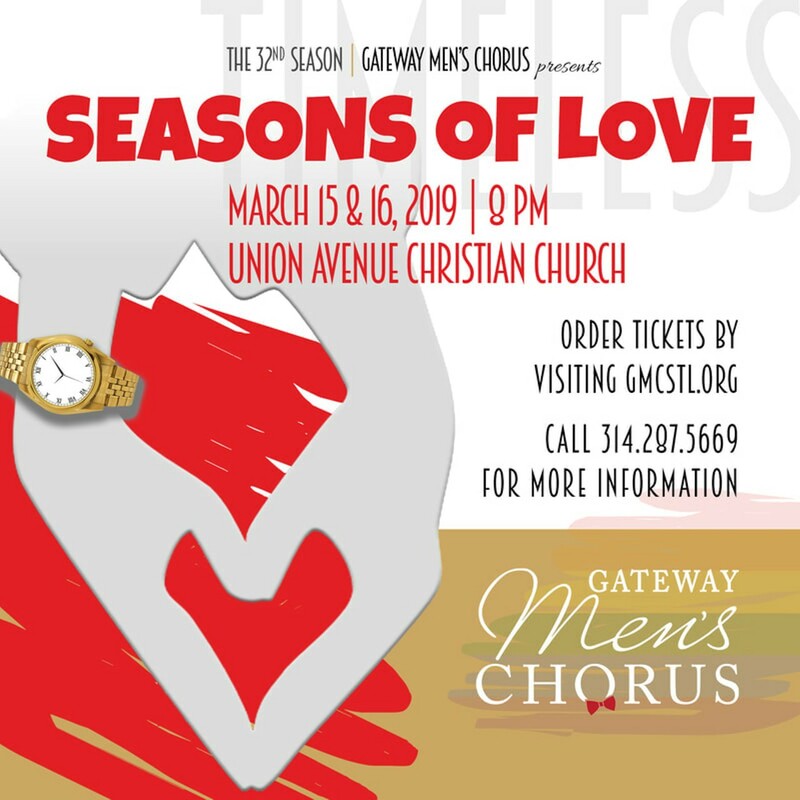 For the second show of its 32nd season, the Gateway Men's Chorus draws its inspiration, appropriately enough, from the letter B: "B" as in ballads, blues and Broadway. The selected songs in Seasons of Love are about the life cycle of love, from first infatuation through passion to heartbreak and back on to hope. It should be a cathartic evening that celebrates a fundamental human experience. Seasons of Love is performed at 8 p.m. Friday and Saturday (March 15 and 16) at Union Avenue Christian Church (733 North Union Boulevard; www.gmcstl.org). Tickets are $20 to $25.